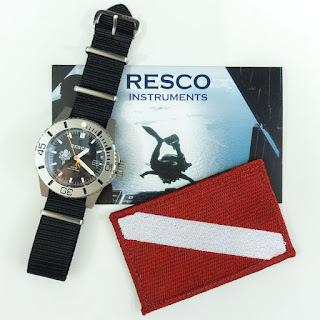 Abbreviations a plenty in this cool new RESCO dive watch collaboration! Coronado, CA based RESCO Instruments have partnered with Prometheus Design Werx to produce a Special Edition of UDT Watch called the SPD Edition. SDP, in case you’re wondering is Resco’s Special Projects Division label. PDW’s Special Projects Division is tasked with handling special product collaborations, Limited Editions and other experimental projects. 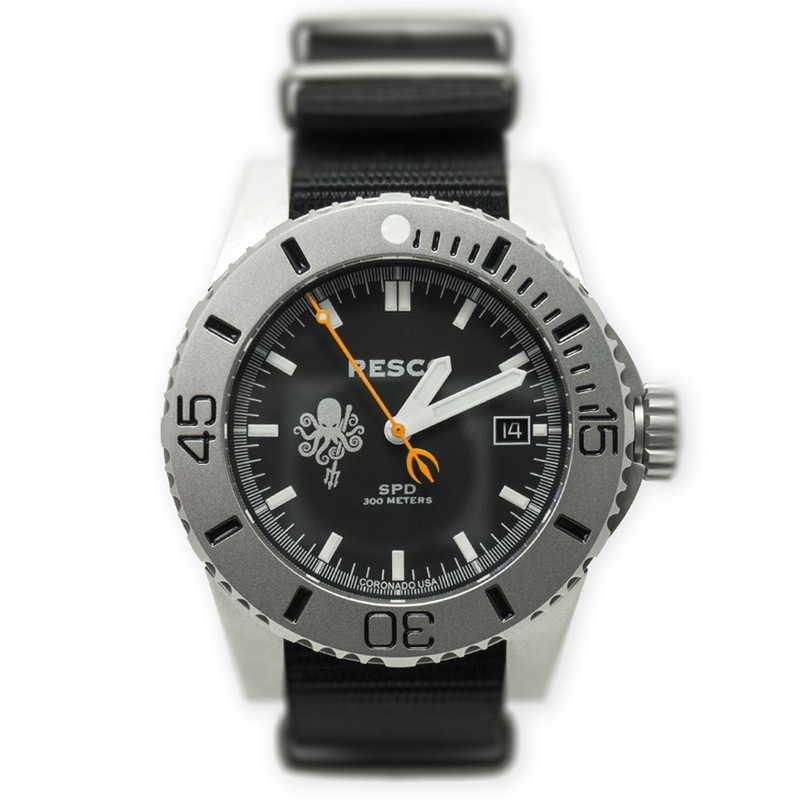 The SPD Edition RESCO UDT is a precision instrument that has a purely utilitarian driven design capable of handling everything that the sea and elements can throw it. 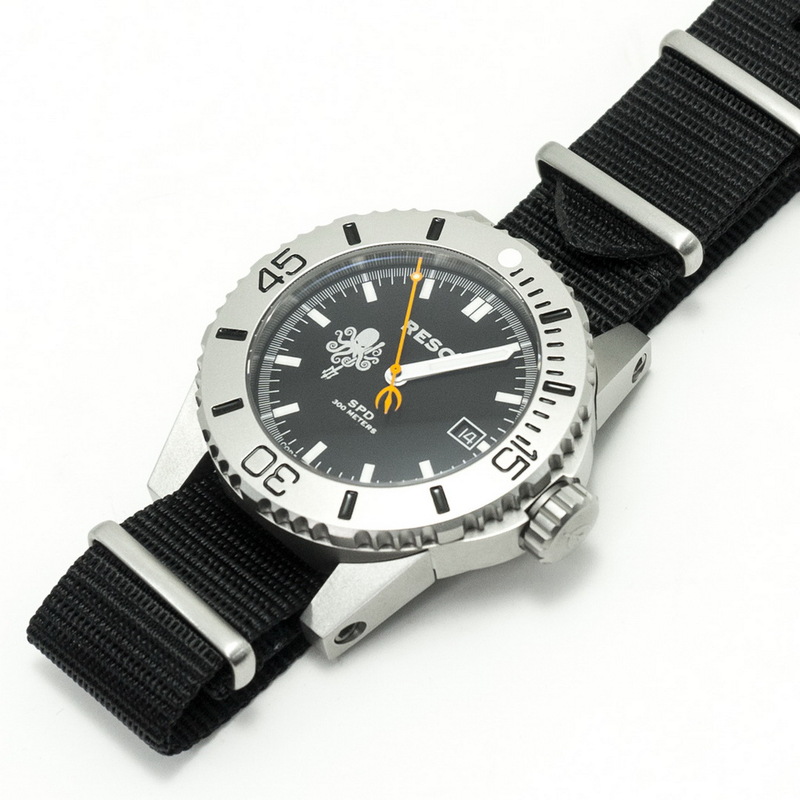 Inside its sturdy 316L Stainless steel billet case is Swiss ETA 2824 self-winding mechanical movement. Divers features include: a screw-down caseback and crown, a domed Sapphire crystal with an inner anti-reflection coating, and a depth rating to 300 meters. 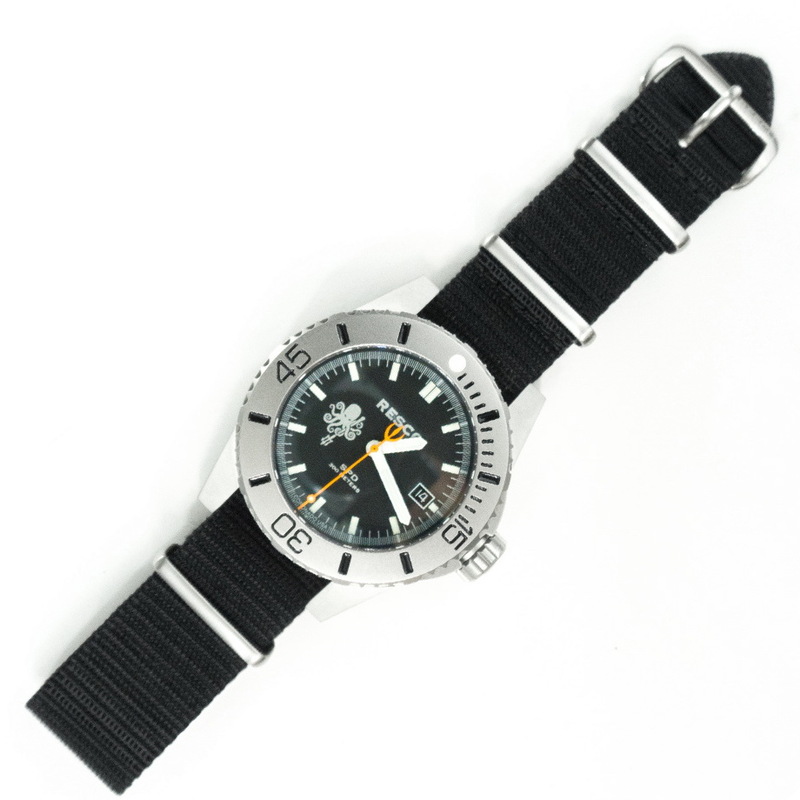 The SPD Edition RESCO UDT Dive Watch comes presented in an Underwater Kinetics case with a NATO-style nylon strap, test certs, and individually serial numbered. Unique to this edition is the PDW Underwater Exploration Team (UET) Kraken with Trident logo on the dial and exclusive orange sweep. Any additional pieces will be built and completed in about 10-15 business days after the first initial release.